Manage Employee Performance Legally and Effectively! 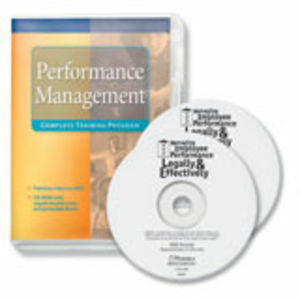 Get the best out of your employees with this instructive training program that demonstrates the importance of managing employee performance. Through real-life scenarios, the experts give advice on how to set performance objectives and best practices for conducting appraisals that protect both manager and company from legal liability. System requirements for CD-ROM: Microsoft PowerPoint, Pentium processor 266 MHz or faster, Windows 98, ME, 200, NT or XP, 30 MB free disk space.